Claiming a wonderfully central location in a neighbourly street, this home is perfectly suited to first home buyers or those upgrading from an apartment, while also offering a low maintenance option from an investment perspective. Instantly comfortable with scope to add some contemporary features over time, attractive interiors feature dual living zones - both oversized, a spacious kitchen and three bedrooms, while a covered entertainment area, drive through tandem carport to single garage, and child-friendly yard increase appeal. * Unbeatable first/second home or solid investment opportunity. * Single roller door into tandem carport plus freestanding single garage. * Three carpeted bedrooms rest alongside a retro bathroom. * Central kitchen with Bosch dishwasher and plenty of storage. * Kitchen opens into a large air conditioned living zone. * Separate lounge room/fourth bedroom, also generous in size. * Enclosed entertainment area complete with BBQ area. * Great yard for children and pets, rooftop solar panels. 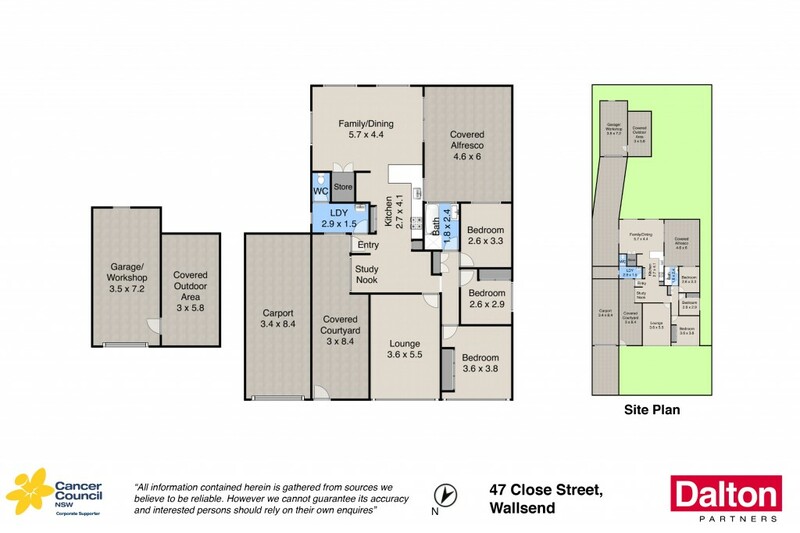 * A block from Wallsend Public School and local playground. * The A15 and Wallsend's lively CBD just moments away.